After being introduced to nonfiction text features (see my free text feature slideshow), students must have time to practice identifying text features within nonfiction text. Once students start deliberately looking for text features, they will be surprised at how easy it is to find them in nonfiction text. It is important to provide engaging, thought-provoking activities that direct students as they are looking for text features. If you are looking for more visual ways for students to interact with text features, check out my post on Text Feature Scavenger Hunts. If you are wanting students to interact with text features within a nonfiction text, keep reading! This activity simply requires a nonfiction book for each student or group, post it notes, and something to write with. 1. 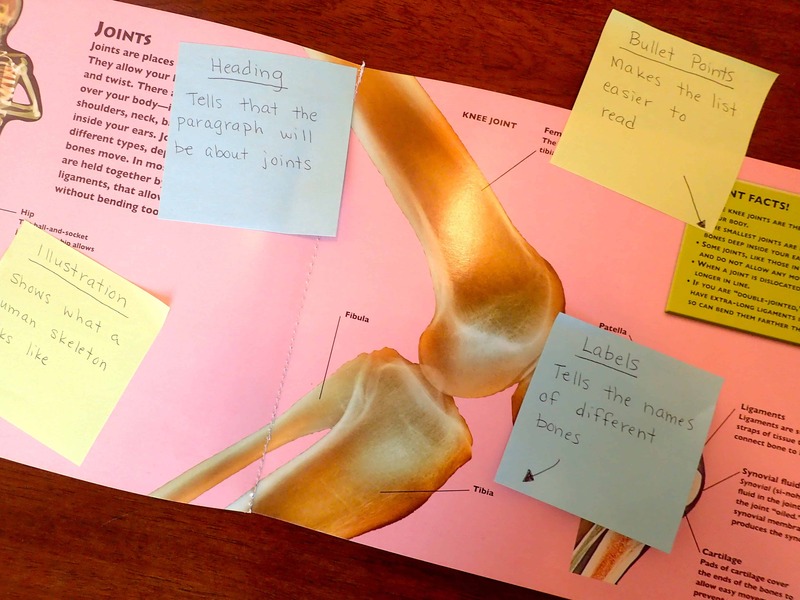 Give each student or group post it notes and a nonfiction book that has plenty of text features. 2. Have each group use the post it notes to label text features they found in their nonfiction books. 3. Have students or groups compare the text features they found with other groups. 4. For a higher level of thinking, have students include why the text feature helps the reader on their post it notes. This activity is low prep yet engaging, and it provides good practice in identifying text features within a text. It can be repeated multiple times with different books. As students become more familiar with the different text features, you can start asking them higher level thinking questions about text features. This activity can also be completed using copies of a nonfiction book and several different colored highlighters. 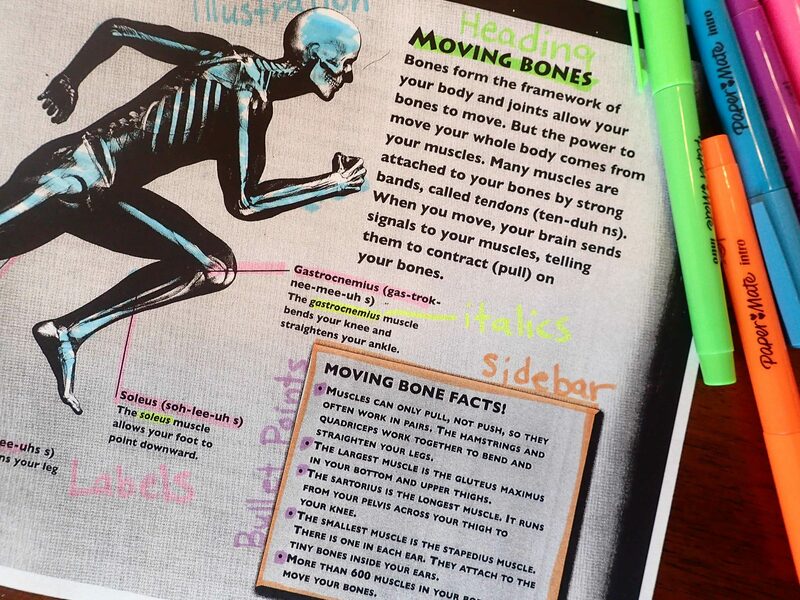 Make a copy of a page in a textbook that has a wide variety of text features. Pass out the copies to students or groups, and have them highlight the different text features they found in certain colors. For example, highlighting headings in yellow, captions in orange, diagrams or charts in green, etc. Check out my comprehensive text features page for more text feature ideas. Click Here to Download Reusable Sub Plans for FREE!